Communitheme is the new Ubuntu theme built by the Community, currently still in developing, but you can try it out for yourself. Obviously, be warned though, because this is a pre-release beta state. Ambiance, the default Ubuntu theme, is really quite old and distant from the modern-looking of desktop design. 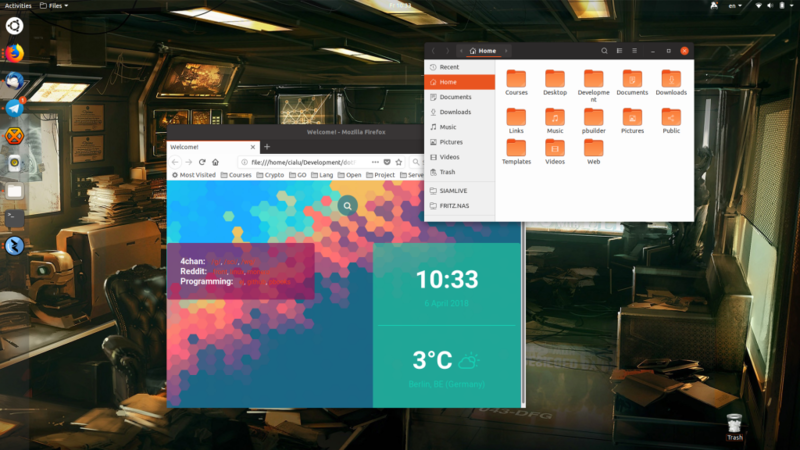 While Canonical had abandoned the next-generation desktop Unity 8, the big shift to GNOME gives the Ubuntu community a chance to develop a new modern and stylish theme for the desktop. Compared to the old Ambiance theme, the new one discards some gradients and changes any level of contrast. The classic and bit old Ubuntu brown is replaced by a strange brown and grey mixed up, it gives the Ubuntu Linux distribution a brand new look. In my personal opinion: why didn’t use a total black like Unity 8 or a modern blue like AmbianceDF? Anyway, the new Communitheme is really more modern than the old one and using it, is definitely a quite good experience. The Suru icons are so modern and well designed, but still not completed. The theme is pretty usable and also good looking, so why don’t you give it a try? You need GNOME desktop to try this new theme. So, if you are running Ubuntu 17.10 or a pre-release build of Ubuntu 18.04, you can grab the theme from the Communitheme PPA and add it to your system. After doing this, you need to logout of your system or restart it. At log-in, chose the theme by the small symbol (like a ‘setting’ symbol, the one to choose between Xorg and Wayland sessions) near the login button.